The Toro PowerPlex platform! These tools feature lightweight lithium-ion batteries and variable speed performance. All the tools use a 40V Max (40-Volt MAX, 2.5 Amp-hour, 90-Watt-Hour) and there is an optional 180 Watt Hour battery available. The new 180 battery features a light, carrying handle and USB port built right in. 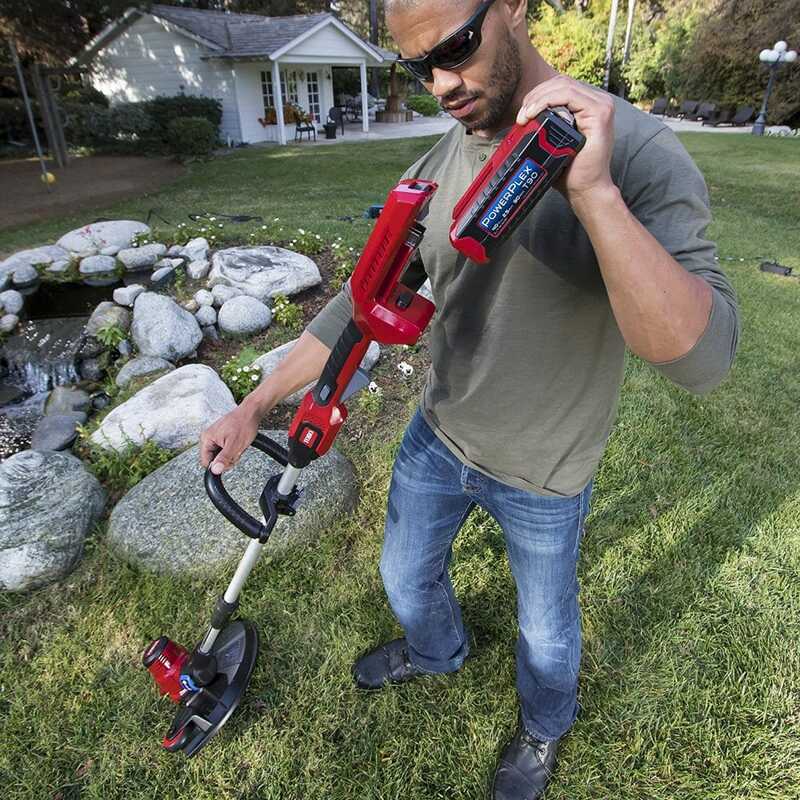 Remember: Voltage is not the determining factor is how much power and runtime a cordless yard tool has. It’s the combination of voltage and amps. How long the battery lasts between charges is dependent on the Watt-Hour rating of the battery, the item itself and how it is used. The higher the Watt-Hour – the more capacity. All the new batteries will have the Watt-Hours listed on the label. The line will consist of a Cordless hedge trimmer, leaf blower, chainsaw and two string trimmers. There is a 13-inch trimmer for your in-town lawn and a brushless, 14-inch trimmer for your larger suburban lawn. The line is listed on Home Depot and Amazon and will be available to ship shortly. The trimmers feature a variable speed trigger so you can save battery capacity when trimming lighter areas. Here are a few videos showing off the line.